This lovely London adjustable stool is from Armen Living and makes a great addition to your bar or kitchen area. 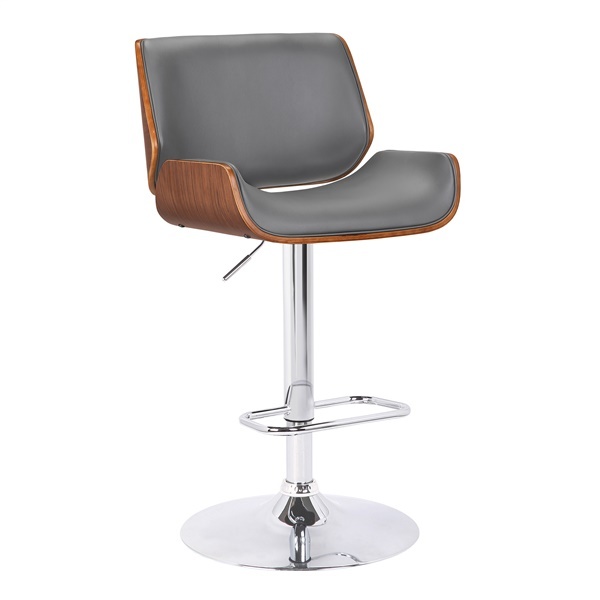 This barstool is a gas lift barstool and has sleek chrome column topped by a swivel seat. For added comfort, the barstool comes with a footrest and faux leather upholstery. What a stylish and comfortable addition to your home! The weight capacity for the London Barstool is 250 pounds.